Here is an overview of Captain Brets Policies and answers to some of your frequently asked questions. We are Rhode Island Department of Health Licensed, Approved and Professionally Regulated. You must be 18 years of age to get a Tattoo. You must have a license or another form of positive identification. You cannot get a Tattoo with parental or legal guardian consent. 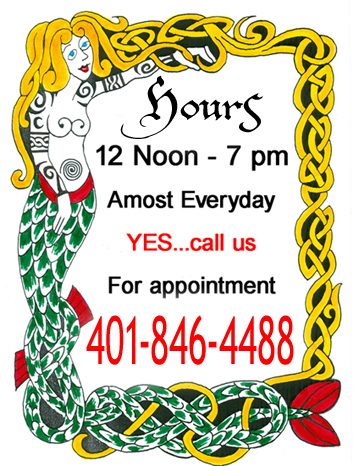 We are the ONLY Tattoo shop in the area that specializes in Historic CELTIC Tattooing. Our Celtic collection is the largest that you can find anywhere! 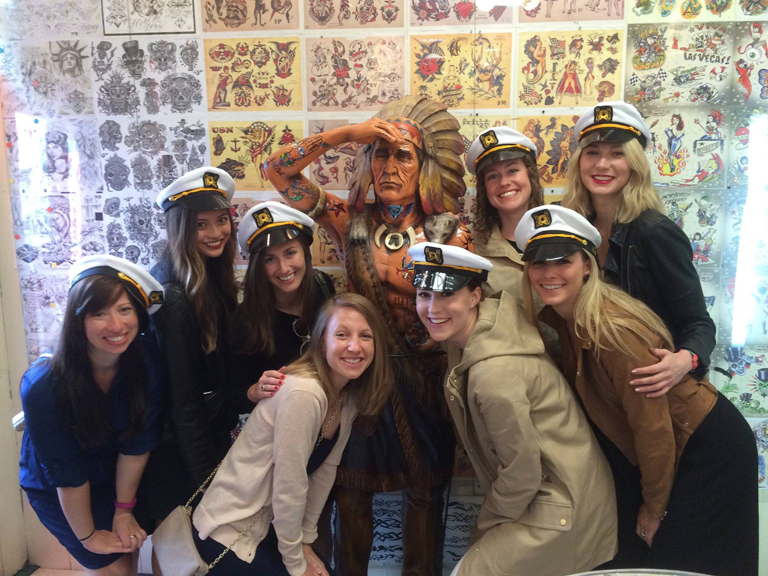 We offer researched and historically correct TRIBAL Tattoos. aside from Tribal and Celtic. 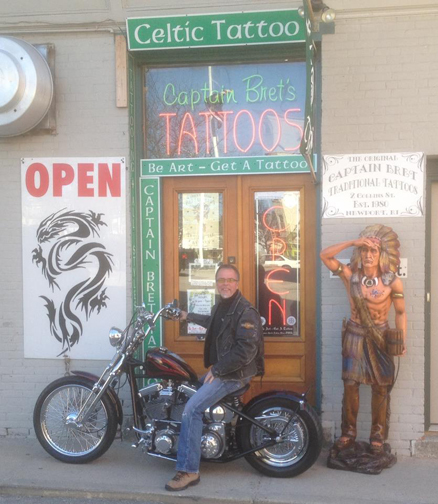 Our studio has a huge selection and high quality of Traditional Tattoo patterns. us to custom design the best Tattoo for you. drawn and displayed on our walls, like an art gallery, for you to look at. of custom designs and experience at the studio. Or we will design it for you. 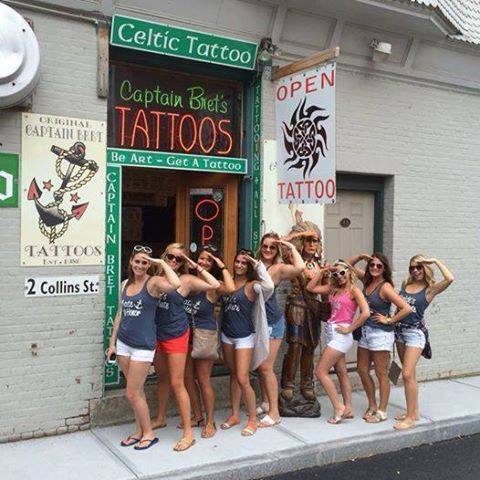 You would like a big Celtic band all the way around your arm. Many people about to get tattooed are concerned with the pain associated with the process. At a minimal, there is a sort of discomfort involved. How far up on the pain meter the experience rates depends largely on the individual getting the tattoo and their tolerance to pain. Other factors include the size of the tattoo, the length of time the process takes, the placement choice on the body, and the skill level of the tattoo artist doing the tattooing. One common mistake is drinking before the tattoo. A good shop will not tattoo a person under the influence of any substance, but alcohol is a particular cause for concern, one, because we all know the stupid choices that drunks tend to make, and two, because alcohol thins your blood, you may bleed more during the process, and ink is often bled out as well, leaving you with a faded or spotty tattoo, not something any artist is looking to add to their portfolio! 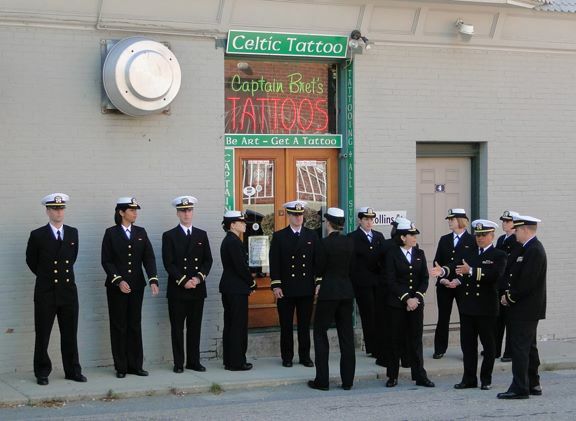 Our fees are very reasonable so call Captain Bret at 401-846-4488 to set up an appointment today.